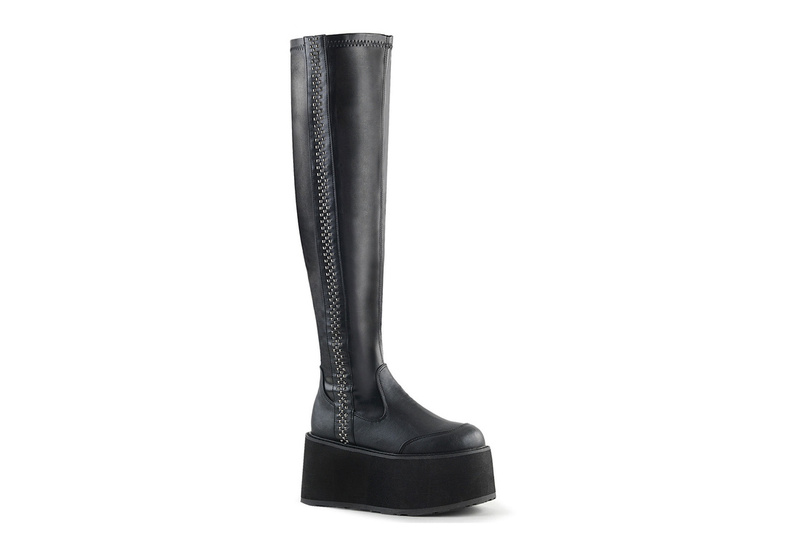 Step out in style. 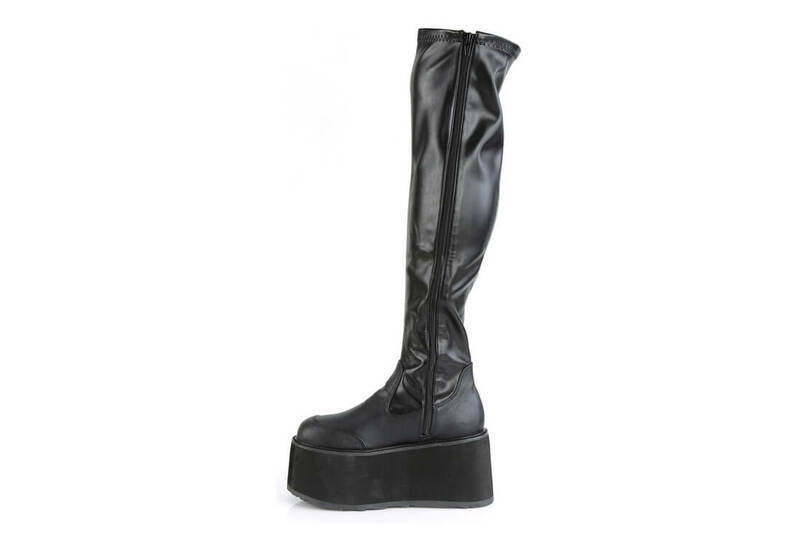 The DAMNED-302 thigh high boots is made of supple black stretch vegan leather. 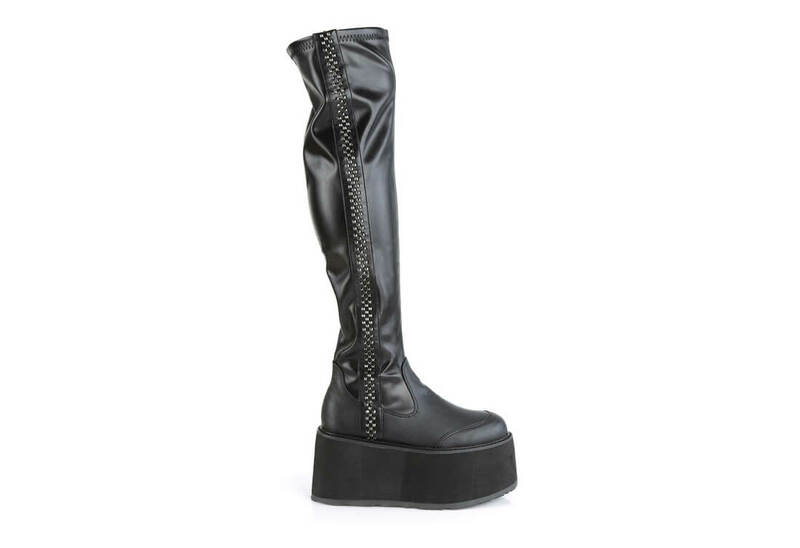 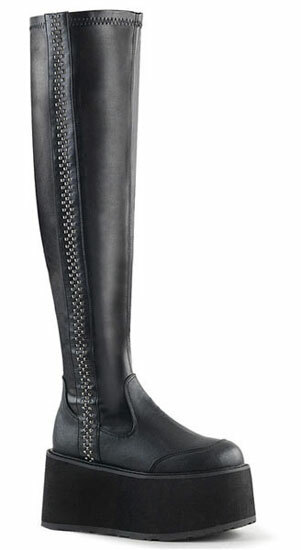 The side of these boots have mini-pyramid studded trim and and inside zip closure.